High winds from thunderstorms, tornadoes, and hurricanes can turn small objects and debris into dangerous projectiles. When these items hit buildings, they can cause a roof leak and broken windows. 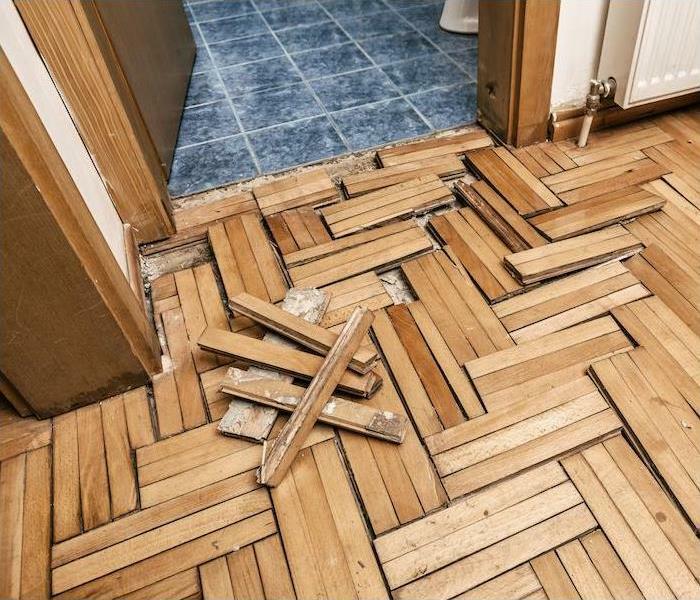 With some planning and preparation, structural damage can be kept to a minimum. Trees, shrubs and decorative items such as fountains and planters can turn into missiles in high winds. Keep the greenery trimmed and secure the fountains and planters. If tying them down isn’t an option, move them inside during storm season. This can prevent them from being hurled against the building or through windows. Keep a supply of plywood onsite to protect the windows from flying debris. It is strong enough to protect the glass from most large items and small debris such as gravel may embed itself in the surface, without penetrating all the way. Screws can be more effective than nails when securing the plywood to the building. For buildings that have loading docks or interior parking for company vehicles, the garage doors may be susceptible to damage caused by debris. Strengthen glider wheel tracks and add braces across the back of the door to minimize damage. Plywood can be used to cover windows and bolster the braces. As materials age, they weaken. This can result in a roof leak or missing shingles during storm season. Use tarps and plywood as temporary measures to protect weak areas and prevent an already damaged roof from getting worse. Severe storms can devastate a business in. Untrimmed trees and downed power lines can result in a damaged roof. A minor roof leak can become a gaping hole. If a severe weather event does strike, a disaster recovery team can help you keep downtime to a minimum, whether a passing thunderstorm or a significant hurricane caused the damage. When disaster strikes your home or business, time becomes an especially precious commodity. When it is your home or livelihood on the line, you don't have the benefit of waiting for help-you need it right away. SERVPRO of Crowley & South Johnson County knows that a fast response is crucial, which is why "Responding faster to any size disaster" is more than just a slogan to us. When it's your belongings or business on the line, time is not a luxury you have regarding disaster cleanup. This is especially true when water damage has come into play. It takes mere minutes for water to spread throughout your property, where it will saturate everything in its path. The walls, floors, upholstery and your belongings are fast casualties of water. Water damage that is left for over a week can lead to dramatically increased restoration time and costs and can also impact the structural safety of your home or business. SERVPRO of Crowley & South Johnson County can provide an immediate response to any size disaster, which can help minimize the damage and help keep the cleaning and restoration costs manageable. Being a locally owned and operated franchise helps us be close by and ready to respond whenever the call comes. A major perk of being part of a national network of over 1,700 franchises is that we have access to more resources for the cleanup and restoration projects that may be larger or stem from major storm situations. Remember, if you need us, we'll be there-no matter the time or day. The team of highly trained experts at SERVPRO of Crowley & South Johnson County is available for emergency cleanup and restoration services 24 hours a day, seven days a week. Do You Need A Professional Mold Remediation Company? A slow leak from a toilet supply line may go undetected until it is too late to mitigate the water damage, leading to a mold issue. The rules serve multiple purposes in protecting consumers. One is to help prevent consumers from being exploited by unscrupulous, and sometimes unqualified, contractors who utilize fear mongering techniques to prey on unwary consumers. Another purpose is to help consumers assure their property is restored using scientifically-based processes so the air quality in their living environment is safe and healthy. It is very important, of course, to select a restoration contractor who is properly licensed and who follows the protocol developed by a licensed mold inspector. SERVPRO of Crowley & South Johnson County is just such a company. Our trained experts will assure your property receives the professional attention it needs and deserves. There are three different types of water to familiarize yourself with when it comes to water damage—clean, gray and black. Understanding the differences in these types of water will also help you understand how to better handle the situation if you find yourself facing water damage. With water damage comes cleanup and restoration, regardless of what type of water has caused the damage. The most important step to take is to remove all the moisture and damp items quickly, so that mold does not have the chance to flourish in that mold-inducing environment. 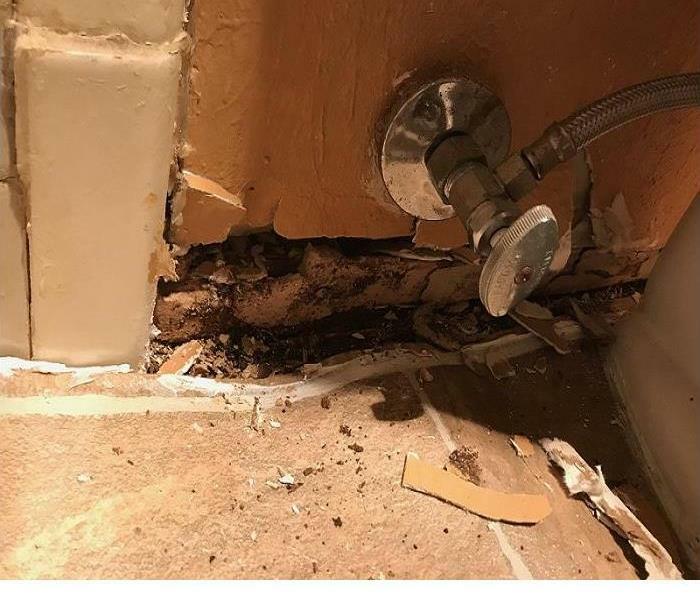 This type of water damage is the easiest type to clean up as there will be fewer microbes living in this water, but you must still follow the 48-hour rule where mold is concerned. Also, after that amount of time and if it has had contact with the surfaces of a building, clean water becomes “gray” water. 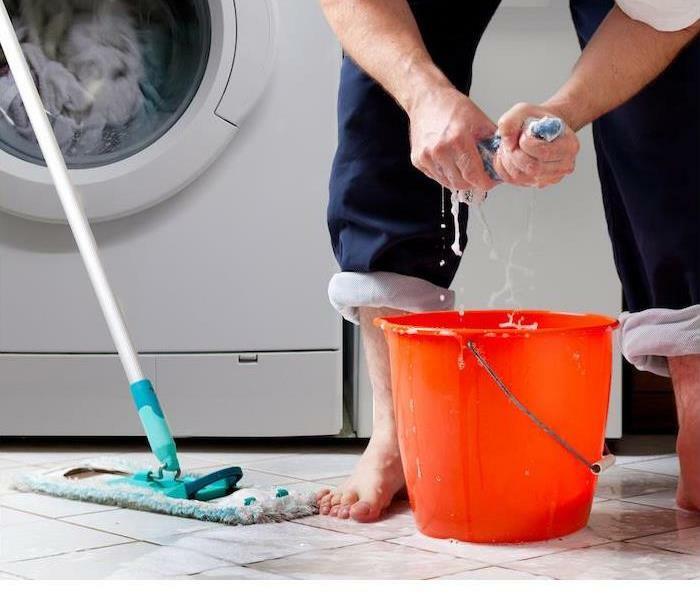 When you find yourself in a gray water damage situation, cleanup and restoration can become a bit more involved and serious. This is water that may pose a health risk because it will contain chemical or biological contamination. While the contamination is still slight, it would need to be thoroughly treated before being safe to consume. Gray water can come from dishwashers, aquariums, showers, etc. The 48-hour exposure time applies here as well, as gray water becomes black water if not quickly and properly treated. When you have black water, you will find yourself in the most serious of the three classifications because this water is considered highly contaminated by harmful chemicals and biological matter. Included in this category would be floodwaters containing soil and any sewage. Sewage is contaminated with microbes and laden with bacteria, protozoans, molds, fungi and more, which can be harmful to humans. Always consider floodwater black water because as it travels it will be picking up contaminants along its path. These three types of floodwater that are involved in water damage are recognized by the Institute of Inspection, Cleaning and Remediation Certification(IICRC), which is an organization that certifies and sets the standard for all the cleaning and restoration companies. Our technicians all study IICRC standards and best practices in water restoration and are available to help determine the steps to take to get your home back to normal. It doesn’t matter what type of water has caused damage to your home or business, SERVPRO® of Crowley & South Johnson County is here to help get the situation under control and make it "Like it never even happened." Don’t hesitate to reach out to us if you need emergency cleanup and restoration services! How Can I Secure my Home and Belongings After a Fire? Board up any holes left by the fire. It will prevent further losses. SERVPRO of Crowley & South Johnson County can provide board up services for you. Remove any property that is undamaged by the fire. If you will not be staying in the home during cleanup and restoration, make sure to remove valuables such as antiques, jewelry, and family heirlooms. Make sure to gather and remove important documents and personal identification in case they are needed. File a Claim Immediately. The longer you delay, the more damage will be caused by soot and smoke. Consider the above measures to reduce the impact of fire damage. Call SERVPRO of Crowley & South Johnson County to schedule your board up and cleaning. 4/11/2019 - What Personal Items Can Be Restored After a Flood? 3/11/2019 - Do You Need A Professional Mold Remediation Company? 2/14/2019 - How Can I Secure my Home and Belongings After a Fire?